Comments below as usual – I’m sure that some of you will work it out straight-away, so please drop hints rather than give-away the answer to those less familiar with the anatomy of our feathered friends. Isn’t that one of those flying creatures from Jurassic Park? Laugh…Laugh… what a gay life this bird must have led. Looks like a pelican to me. Kookaburra? Hard to tell scale, but it looks to me like a smallish bird with a giant head. I’m going for crow, based on an image from ‘Dumbo’ popping into my mind! I think it’s the one whose beak can hold more than its belly can. Oh Paolo how could you? Poor Big Bird. The other residents of Sesame Street must be out of their skins worrying you’re going to do the same to them …. It’s definitely not a pelican, Pelicans have long thin beaks. 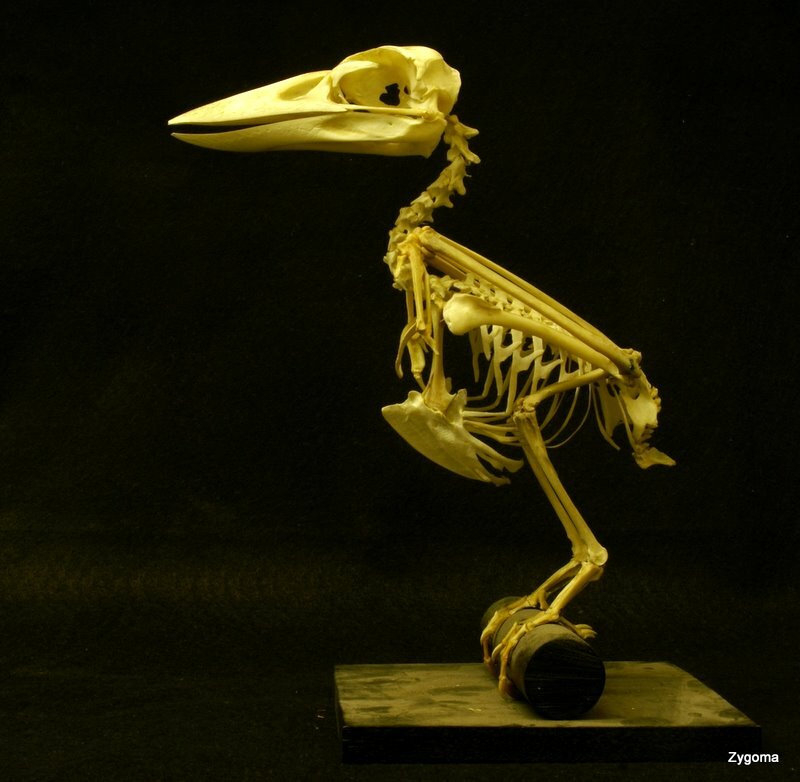 The beak isn’t right for a Dodo and the body isn’t right for a penguin, it looks like a pair of wings are folded up on it’s back (could be wrong). If it is what I think it is, there was a movie based on it. It’s Big Bird from Sesame Street, isn’t it?! I didn’t even know he was dead. It’s one of Kevin’s babies from Up. Charles Muntz must have nabbed one of them! I’m going to say Raven or maybe a Magpie. What it’s not is another competition: : Shoebill stork. I’m thinking Kingfisher, though the bill looks a little too stout.. If there are two, can they tango? Or carry off a Guiness each? It must be a Liver Bird. Happy birthday Liver Building in Liverpool. They’ve hardly aged a day! I’m going to have to join others in assuming it’s a make of cricket bat (first bat I owned in fact). I think its a Kookaburra, or similar kingfisher. Shoebills are much, much larger, with very different bills, and long legs. The bill is all wrong for everything else so far suggested too. Definitely not a pelican/penguin/stork/raven/dodo/Big Bird.